Disney Kingdoms: The Haunted Mansion! The world famous attraction haunts Marvel Comics in 2016! And its residents are just dying to meet you! 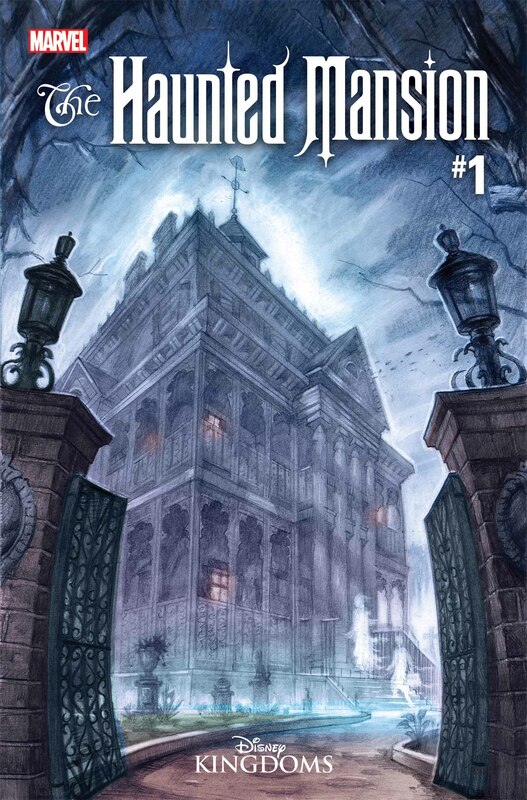 Today, Marvel Entertainment and Walt Disney Imagineering are proud to announce THE HAUNTED MANSION #1, the newest blockbuster limited series coming in March! Step inside foolish mortals, as rising comic stars Joshua Williamson (Illuminati, Ghosted) and Jorge Coelho (Loki: Agent of Asgard, Polarity) throw open the doors of the mansion for a delightfully chilling thrill ride!